One insecure perfectionist. One guilt-ridden artist. One child-woman who talks to peacocks. A trio of complex heroines on separate journeys toward a single intertwined truth.Imagine living exclusively for others and waking up one day with a chance to start over. The terrifying new beginning reeks of abandonment and betrayal. The choice for Seattle resident Monica lingers between now and then. . .them and her. Izabel’s idyllic existence on Orcas Island is turned upside down during the birth of a friend’s child. Suddenly, pain rips through her own body, and life as she knows it shifts, hinting at a forgotten past and propelling her toward an uncertain future. On another island, young Daisy awakens surrounded by infinite shades of blue. Is she dreaming or has she stepped through the portal into a fantastical land where animals spout philosophy and a gruesome monster plots her destruction? Blue – a subtle psychological mind-bender where each heroine is her own worst enemy. Eccentric. Loveable. Unforgettable. Kayce Stevens Hughlett is a soulful and spirited woman. 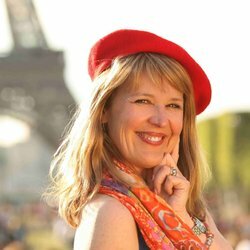 In her roles as psychotherapist, life coach, author, spiritual director, and speaker, she invites us to playfully and fearlessly cross the thresholds toward authentic living. A strong proponent of compassionate care in the world, Kayce’s live and online work focuses on the principle that we must live it to give it. Her early career began with a multi-national accounting firm to be later refined as the path of an artist. She delights in walking alongside others as they explore and unearth their own pathways toward passionate living. Kayce is a Certified Martha Beck Life Coach and holds a Masters in Counseling Psychology from The Seattle School of Theology and Psychology. She is the co-author of “Arts Centered Supervision” published in Awakening the Creative Spirit: Bringing the Expressive Arts to Spiritual Direction, as well as contributor to other collections and online publications. 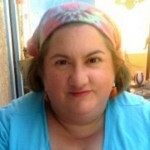 Kayce is a trained SoulCollage® facilitator, a dedicated supporter of the Soltura Foundation, and co-founder of the Soul Care Institute–a professional development program facilitating the formation, nourishment, and deep inner work of soul care practitioners. Raised in the heartland of Oklahoma, she now resides in Seattle, Washington with her family and muse, Aslan the Cat. My friend Debra mentioned to me that one of her other friends had recently published a novel. “You read a lot,” she said, “you might like it.” I immediately went looking for that novel – Blue – on NetGalley, and was approved for an advance e-copy, which I devoured in one afternoon. Then I ‘met’ the author through our mutual participation in one of Debra’s projects, and asked her if she’d prefer a specific date for the review. She chose August 20th. Weeks after reading Blue, there are several things that linger with me, the strongest being the use of the color, blue, as the through-connection in this novel which is really the story of three different women, Monica, Izabel, and Daisy. I’m hesitant to elaborate because I don’t want to spoil anything, but Hughlett showed how good she is with crafting plot and writing nuances with that element. All three women had distinct personalities, and I really liked the way each interacted with the world on her own (apparent) terms, but also had some kind of secret lurking. I wouldn’t consider this novel an out-and-out mystery, but it definitely had mysterious elements. I find that it’s easier for me to treat Monica and Izabel’s sections as one unit for purposes of review -these women were both obviously hurting, and obviously seeking things they weren’t ready to admit they needed. I found that their lives were rich and interesting and yet felt incomplete. Each lived in surroundings that completely suited her. With Izabel, I was reminded of the line from the movie The Wedding Date about how every woman has the relationship she wants. Overall, I found Hughlett’s writing voice to be engaging and interesting. The opening of the novel confused me a little, but also hooked me, and made me want to figure everything out. Her characters – even the animals – felt very real. The three central women were especially dimensional. In anyone else’s hands, the same story would have descended into cheap comedy or depressing sadness. From Kayce Stevens Hughlett’s deft hands comes, instead, a novel that manages to be poignant, compelling, puzzling, engaging, and incredibly readable. Goes well with lemonade, blueberry pound cake, and fresh fruit, served al fresco in a lush garden. 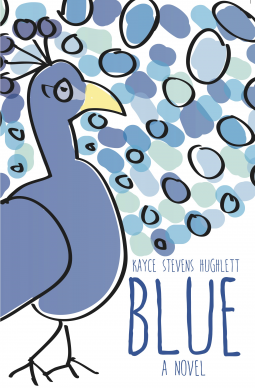 Blue, by Kayce Stevens Hughlett (@kaycehughlett) #review @netgalley by Melissa Bartell is licensed under a Creative Commons Attribution-NonCommercial-ShareAlike 4.0 International License.